Priti Patel, former secretary of state for International Development in the United Kingdom (UK), has called on investors to be wary about investing in Nigeria. In a short op-ed for City A.M., London’s first free daily business newspaper, Patel, a member of the UK parliament, said President Muhammadu Buhari has disrespect for “international law and convention, and court decisions”. 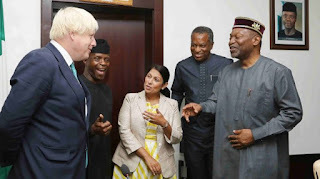 Patel, who visited Nigeria in 2017, alongside Boris Johnson, former UK foreign secretary, shared the experience of two Irish businessmen, who suffered from Buhari’s decision to renege on signed contracts.